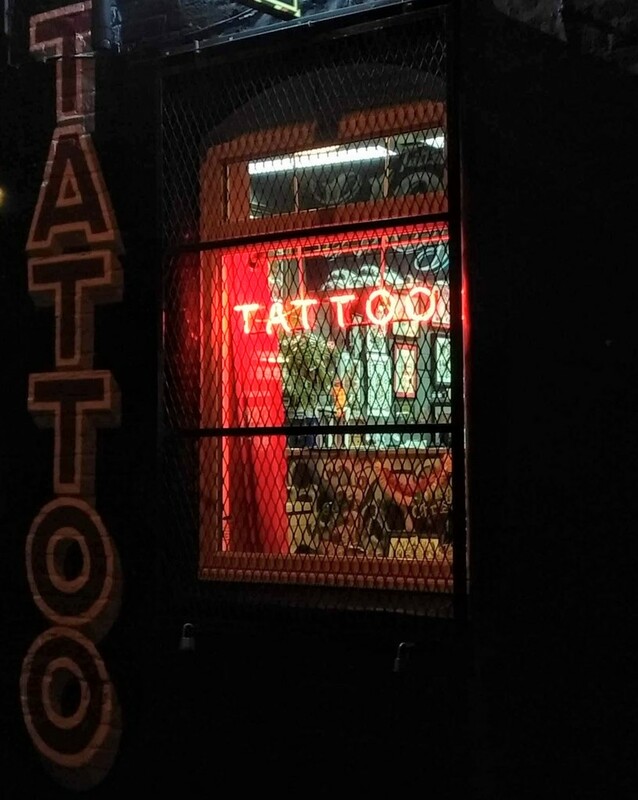 I like tattoos, I like night shots, I like neon lights...you're on to a winner here. Like the composition with the letters down the side and the warm colours. Nice find. I like the night lights. I like the composition, capturing the larger sign on the side really works.